From studio apartments and spacious single-level suites to fully-equipped executive four bedroom townhouses, Boulcott Suites is ideal if you want quality and space. Some apartments also feature balconies. Fully secure undercover carparking is available at a cost and all apartments have WiFi, Sky TV as well as kitchen and laundry facilities. 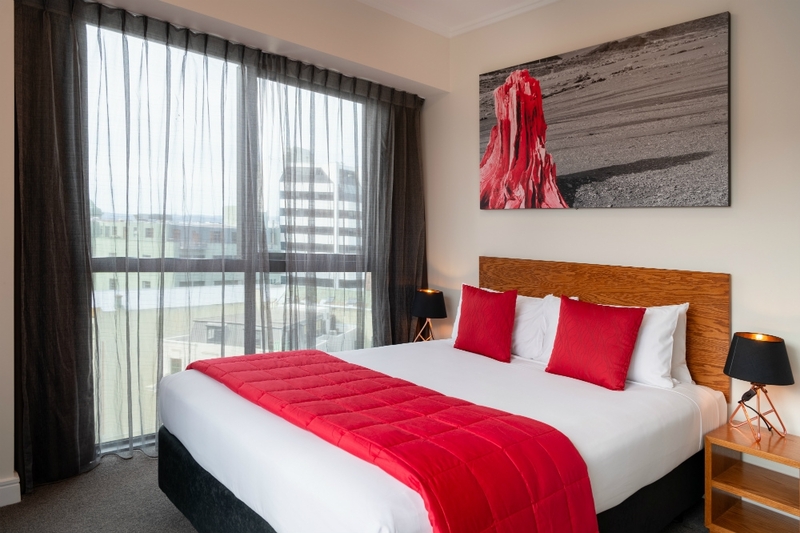 The newly-built North Tower of Boulcott Suites provides executive and premium studio and one-bedroom accommodation.